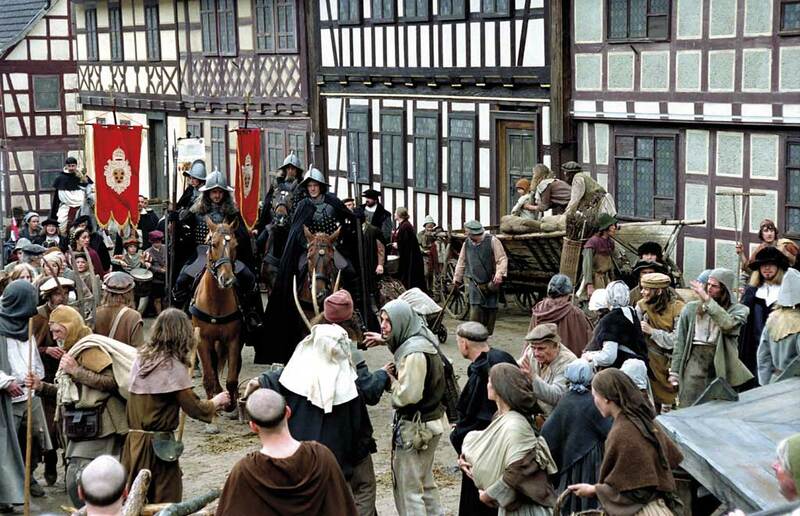 Centuries old town skylines, idyllic half-timbered houses and original landscapes capture the imagination not just of locals and visitors, but of film makers too! 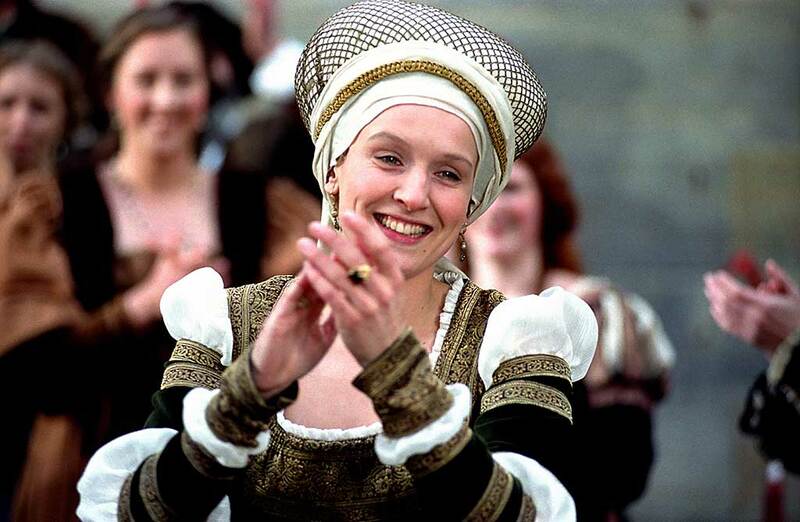 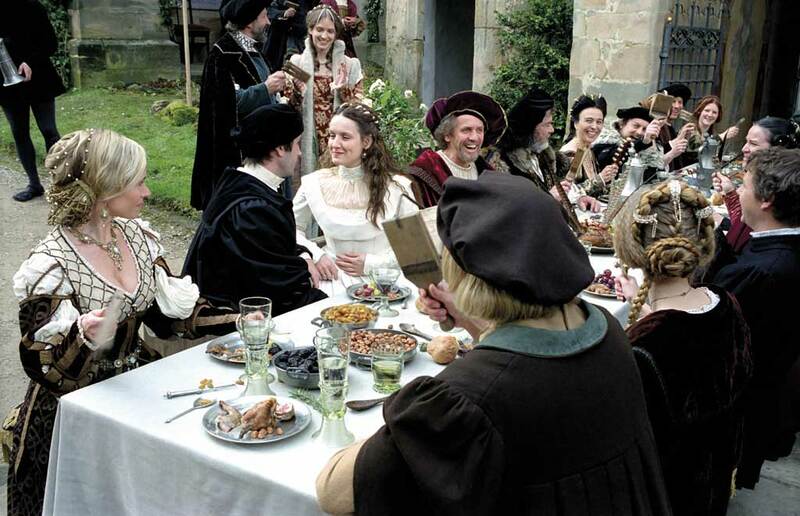 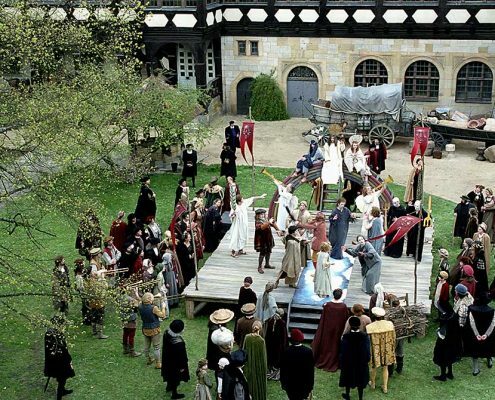 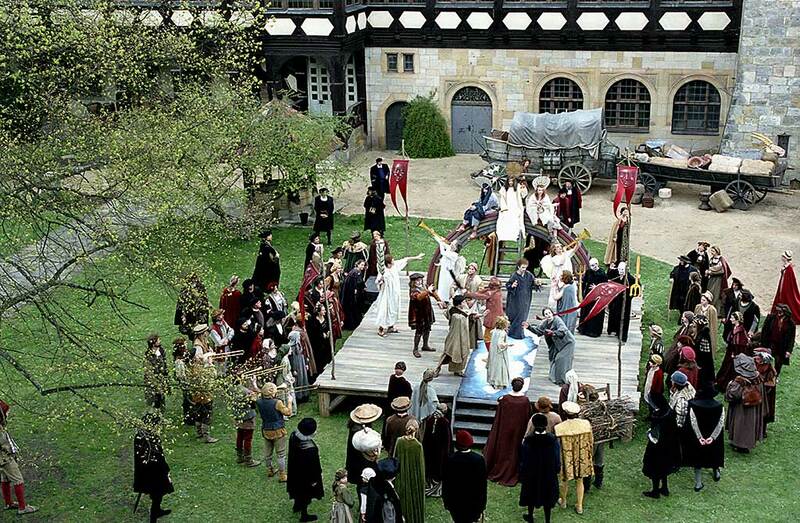 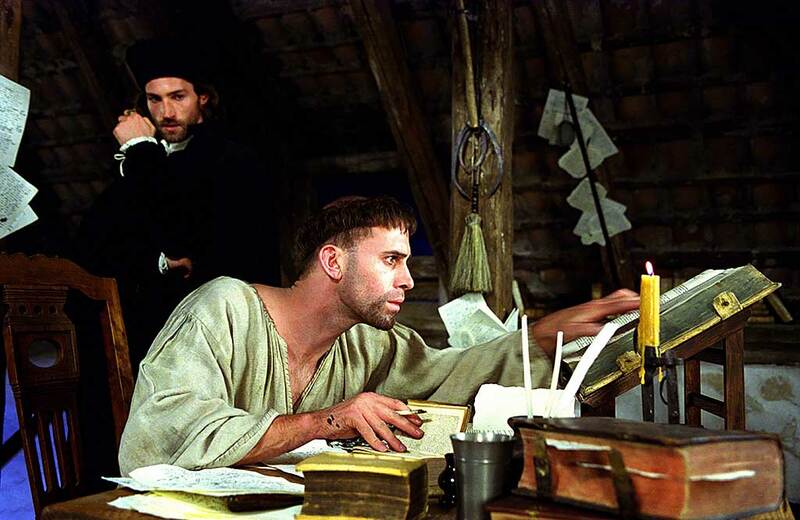 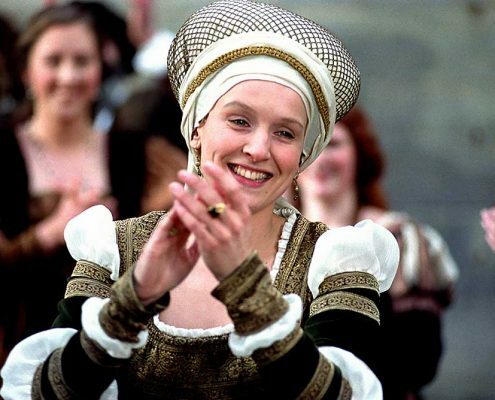 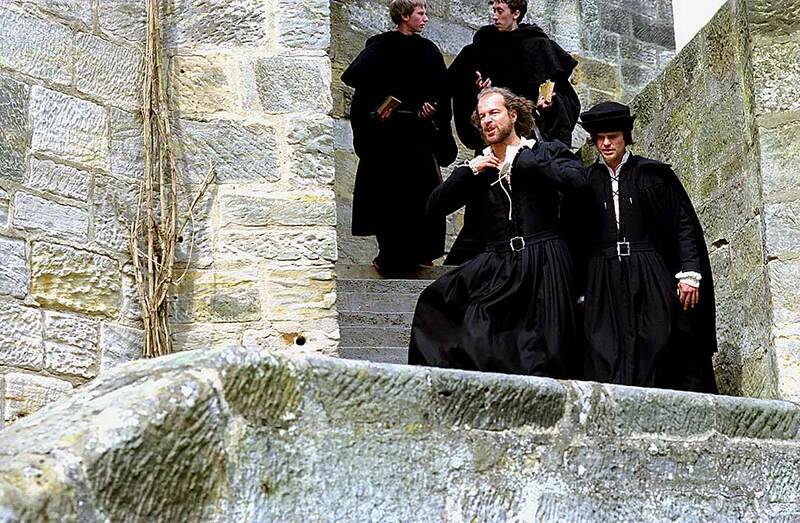 In spring 2002, a hint of Hollywood came to the Heldburg and Coburg district, when “Shakespeare in Love” star Joseph Fiennes, appeared in front of the camera as Martin Luther, along with famous stars of the silver screen, for several days of filming. 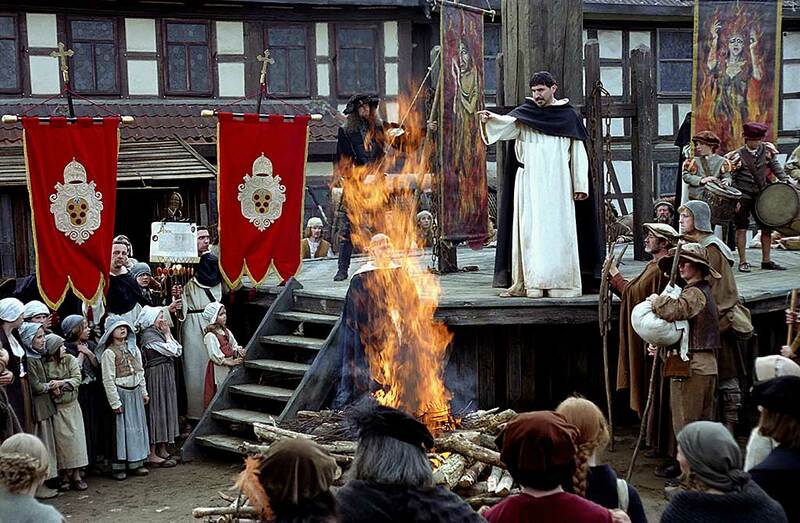 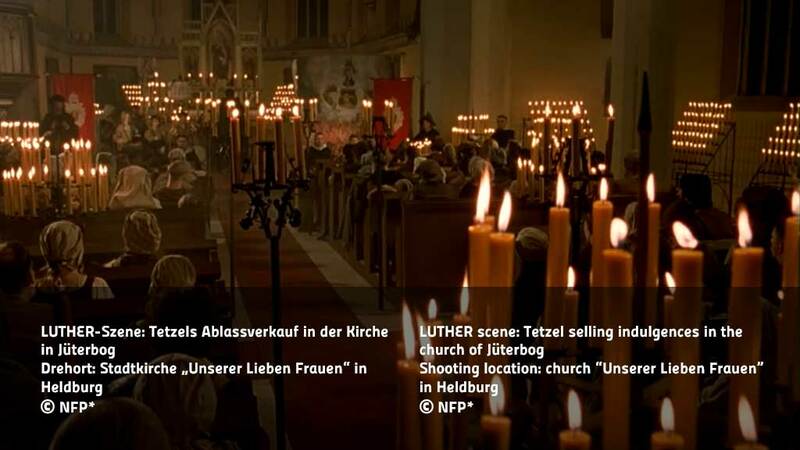 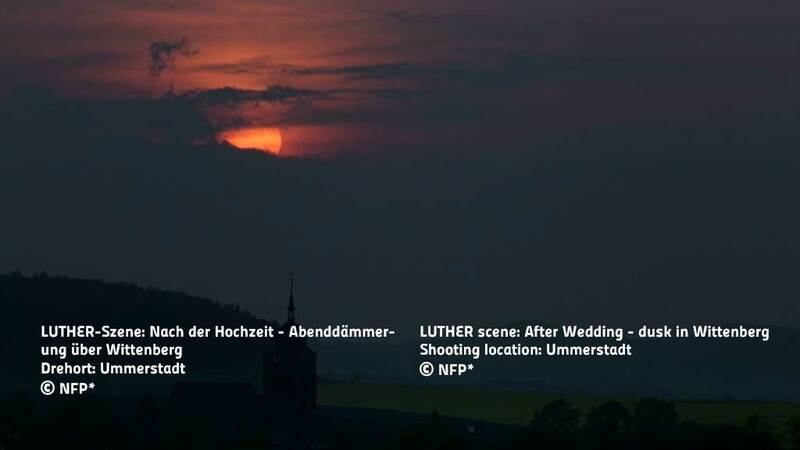 The historic film “Luther”, directed by Eric Till, is a German film production by NFP, with an international, all-star cast. 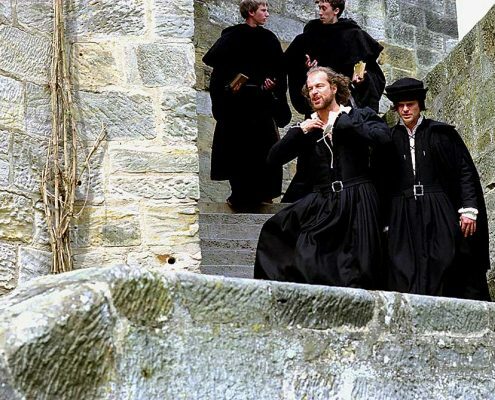 It was realised in cinemas in 2003. 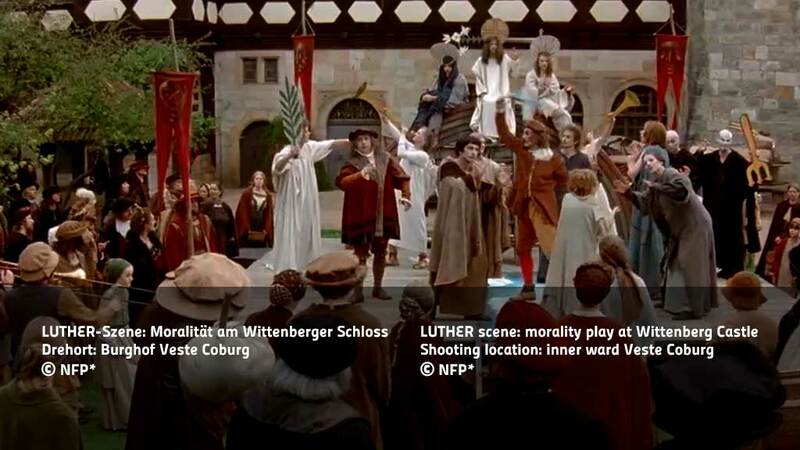 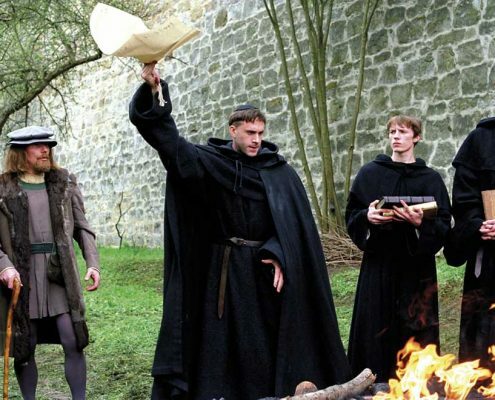 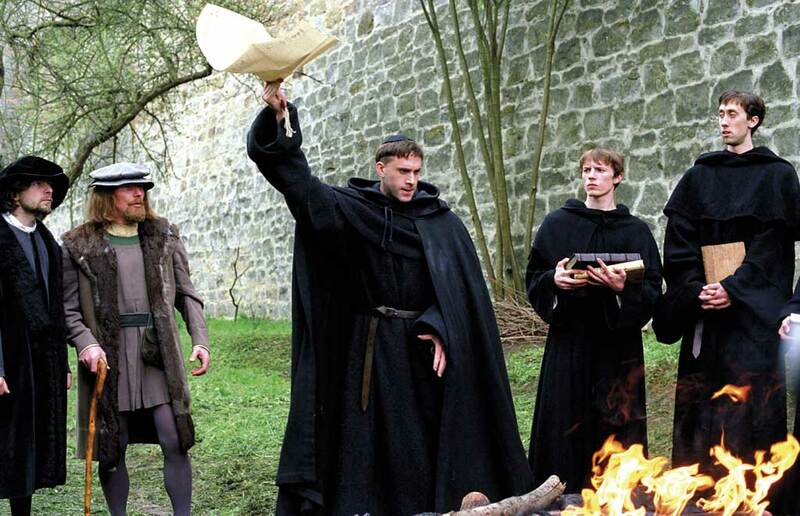 Along with Joseph Fiennes as Martin Luther, Elector Frederick the Wise was played by Sir Peter Ustinov, Johann von Staupitz by Bruno Ganz, Katharina von Bora by Claire Cox, Pope Leo X by Uwe Ochsenknecht and Cardinal Cajetan by Mathieu Carrière. 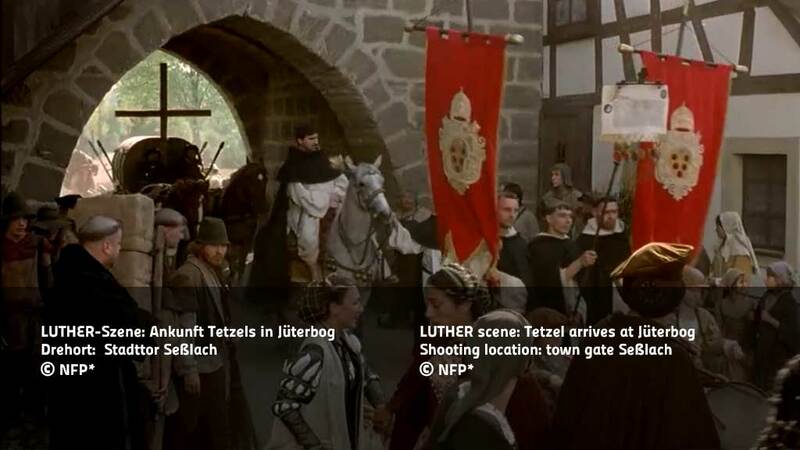 The production was filmed in three states, including here in Rodachtal! 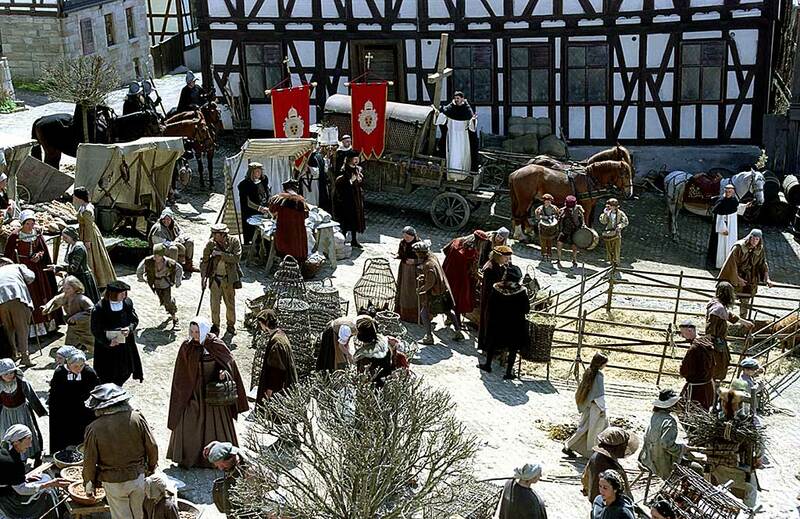 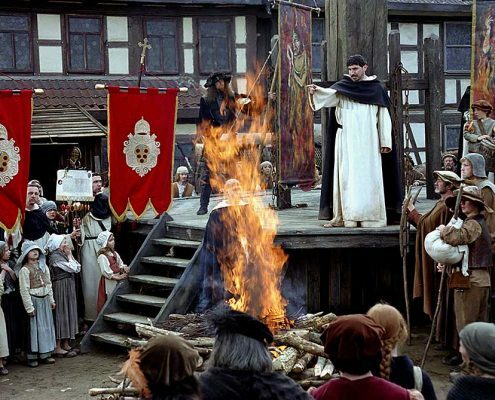 Trading on the fear of sin: the little, half-timbered, Franconian town was the backdrop for Jüterbog, where Johann Tetzel preached indulgence. 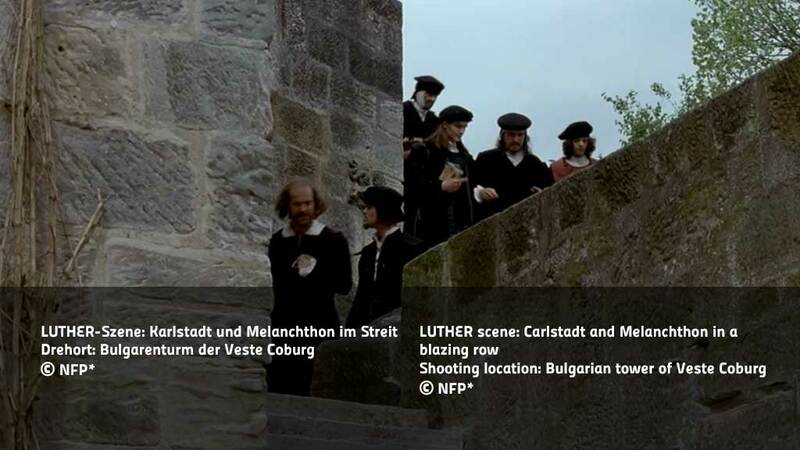 Wittenberg was staged here too. 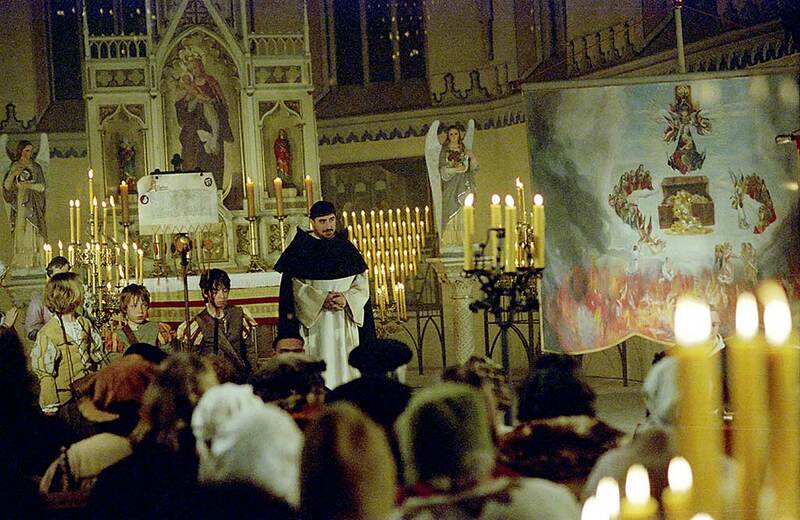 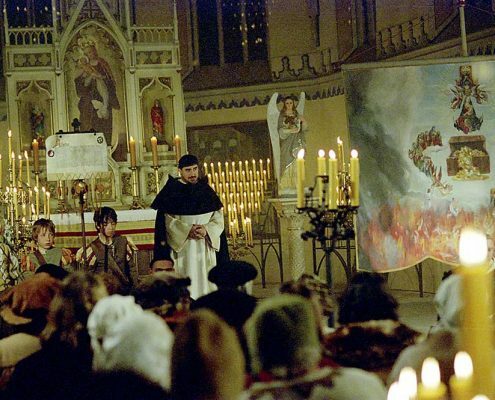 Alfred Molina, as indulgence trader Tetzel, handed down a few years in purgatory to the frightened people, in the parish church in Heldburg. 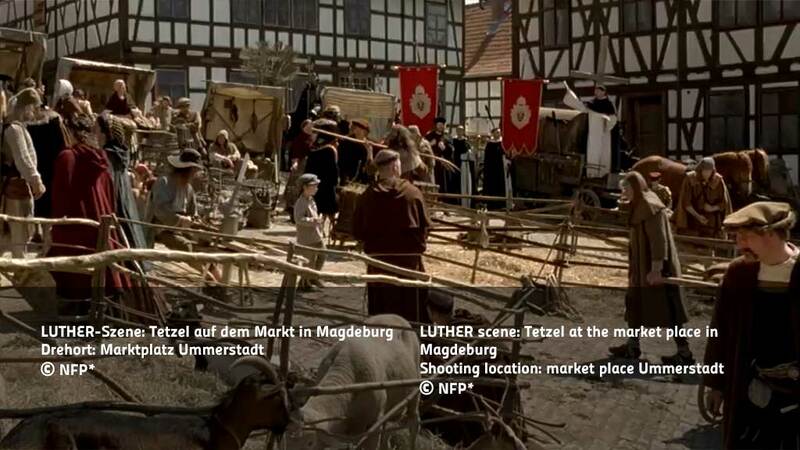 Where Martin Luther celebrated his on-screen wedding to Katharina von Bora, a nun who had run away from the convent. 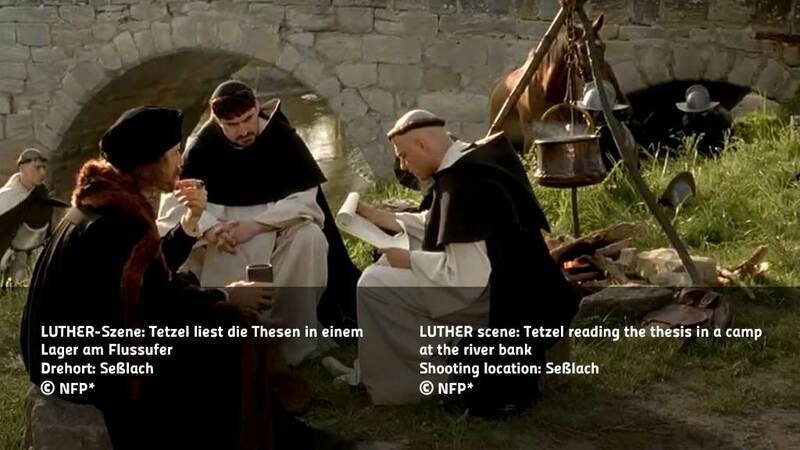 The 95 theses were read on the old stone bridge. 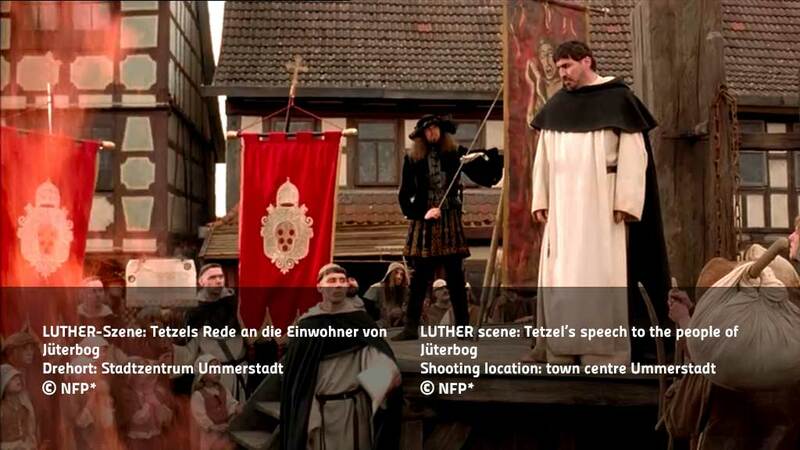 Books were also burned here and Luther’s opponents dragged through a city gate. 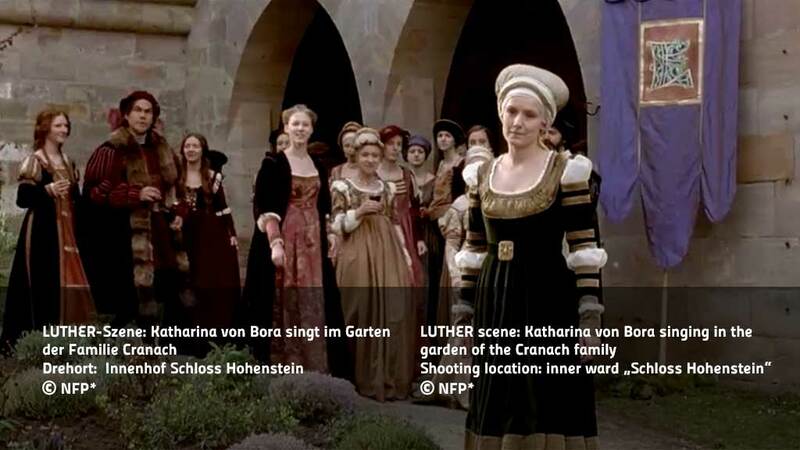 The castle courtyards, the staircase and the Bulgarenturm tower were used as backdrops. 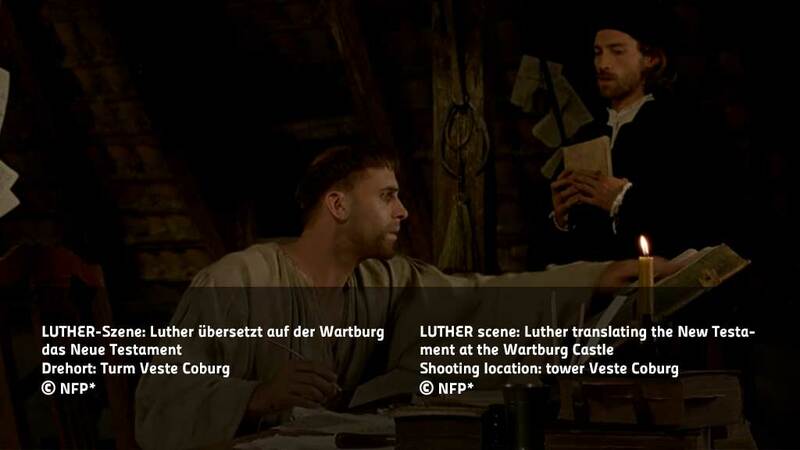 Luther translated the New Testament for the screen here, instead of at the Wartburg.